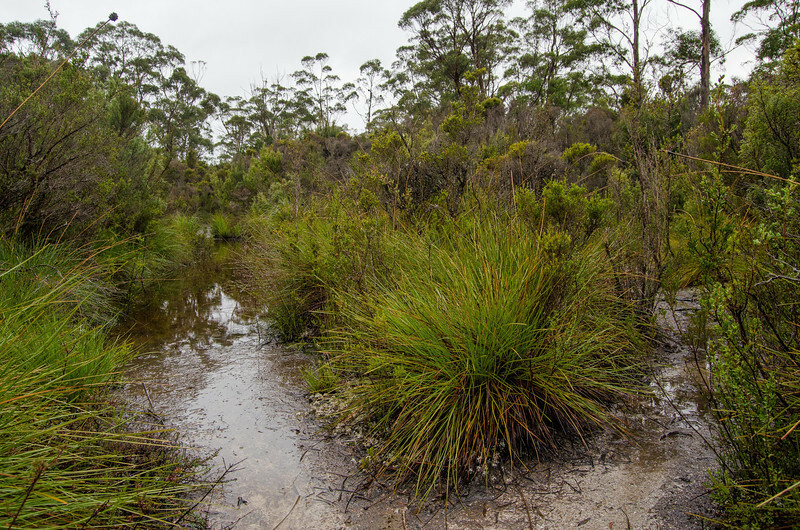 Staying for a few nights at the Lake Pedder Chalet at Strathgordon, we took the opportunity to do a couple of fantastic short hikes in the South West National Park. I’ve already written up my notes for our hike up The Needles, but it was actually the Timbs Track that we completed first, the day before we attempted The Needles. 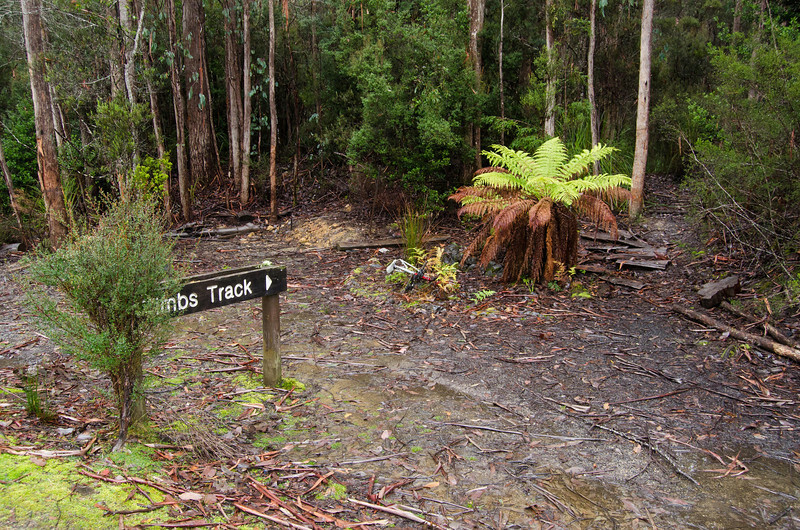 As with The Needles, we obviously made our way to the start of the Timbs Track from Strathgordon, but it would be just as easy to drive up from Hobart and make this a day trip. To get there, just follow the Glenora Road up the western bank of the Derwent River, or the Lyell Highway up the eastern bank, through Bushy Park and turning left at the gorgeous little town of Westerway towards Mt Field and Maydena. It will probably take around 1hr 15mins to cover the 80kms to Maydena from Hobart. Drive for another 21 kilometres from Maydena, about 3.3 kilometres past The Thumbs lookout, and on your right hand side you’ll see a well made timber sign saying ‘Timbs Track’ with enough room for a few vehicles by the side of the road. 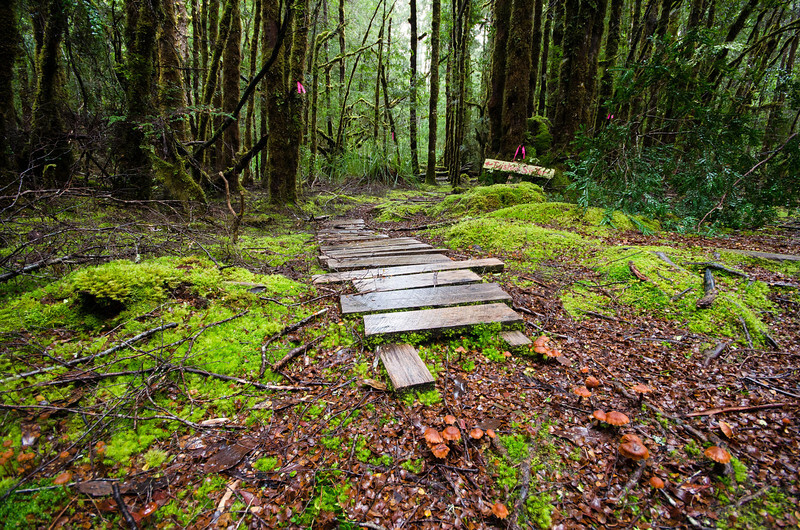 I first came across this hike when searching for potential photographic locations in a rainforest setting. Seemingly not advertised very widely, I stumbled across a brochure prepared by the Wilderness Society titled the Upper Florentine Self Drive Guide that described not only the Timbs Track, but a number of other hiking options in the area. 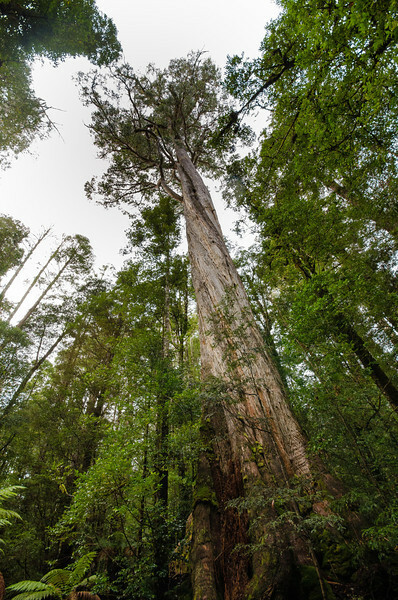 It also provided some background to the work the Wilderness Society are doing in preserving Tasmania’s old growth forests. 1. 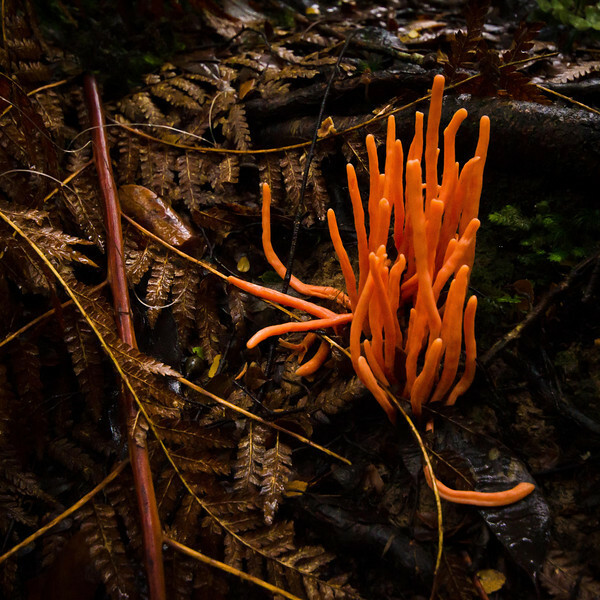 Stepping through the tree line, you’re immediately plunged into the dim, brooding, otherworldly atmosphere of the rainforest. The path starts out dry, but the deeper you go, the wetter it becomes. Occasionally boggy, timber boards bound together by chicken wire have been installed in places to both protect the track from further erosion, and to give your boots some additional purchase in the slippery conditions. In places, the wire has unravelled, likely due to the constantly wet environment, exposing the slick, flat surface of the boards and actually exposing you to even greater risk of a fall! 2. 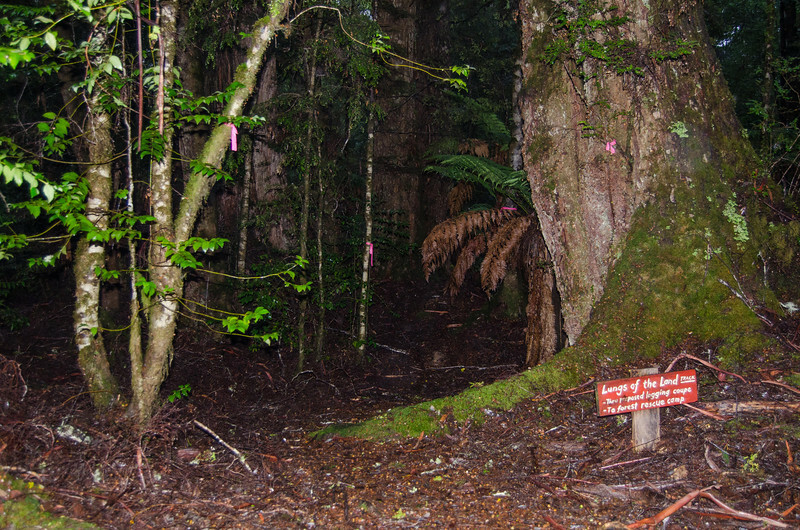 Only a few minutes in and we came across the sign marking the start of a short loop walk that takes you to the foot of the massive tree affectionately named ‘Twisted Sister’. The path does narrow and become indistinct in places, however the fluorescent ribbons placed at regular intervals should serve you well! We did find ourselves making our own path at one point due to a recently fallen tree across the track, but it was pretty easy to find our way back to the main path. 3. Eventually rejoining the main track, it was only another 5-10 minutes later that we found ourselves making another detour onto the ‘Lungs of the Land’ track. While short, this track was fantastic. 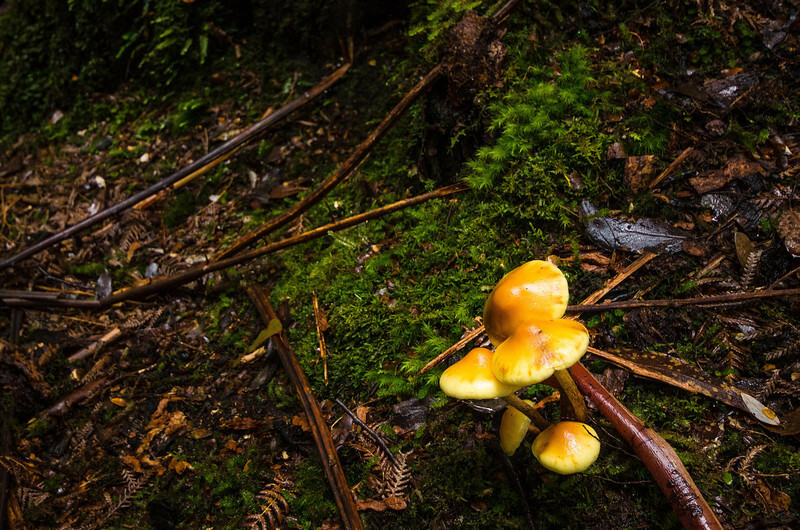 Taking you through dense rainforest, occasional open areas of bright yellow sunshine on deep green ferns, dark hollows brimming with mushrooms and other fungi, and huge stands of towering trees, you couldn’t help but be a little overawed by it all. Edible? I’d rather not risk it! 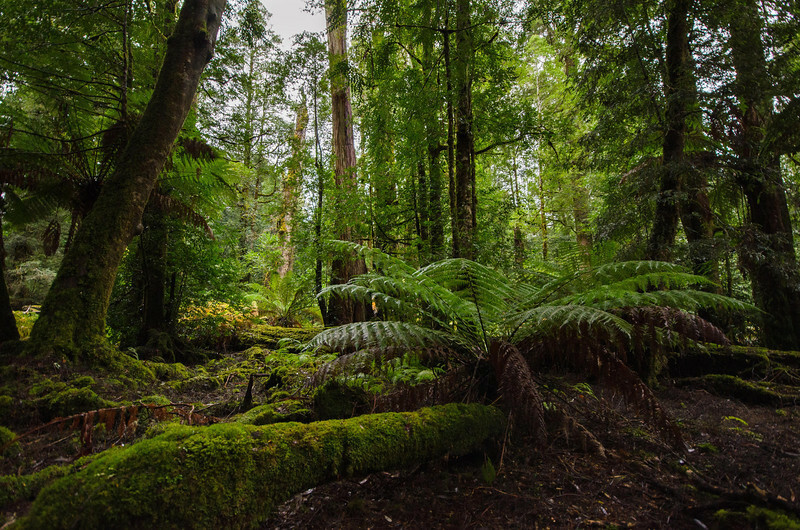 What the photos can’t communicate is the smell of a rainforest. Leaves composting, wet soil, occasionally cool eddies of breeze dancing between the man ferns, you could almost feel the heavily oxygenated air revitalising you with every deep breath. 4. Again finding ourselves back on the main track, the undulating path began to narrow and we found our long pants very quickly became saturated to our knees due to the constant brushing against fronds and grasses growing across the path. After perhaps 10-15 minutes the path slowly rose and we broke through to a more thinly vegetated ridgeline. Another 10 minutes of dodging the odd pool of water that lay on the otherwise quite dry track and we came across the turn off to Tiger Lookout. 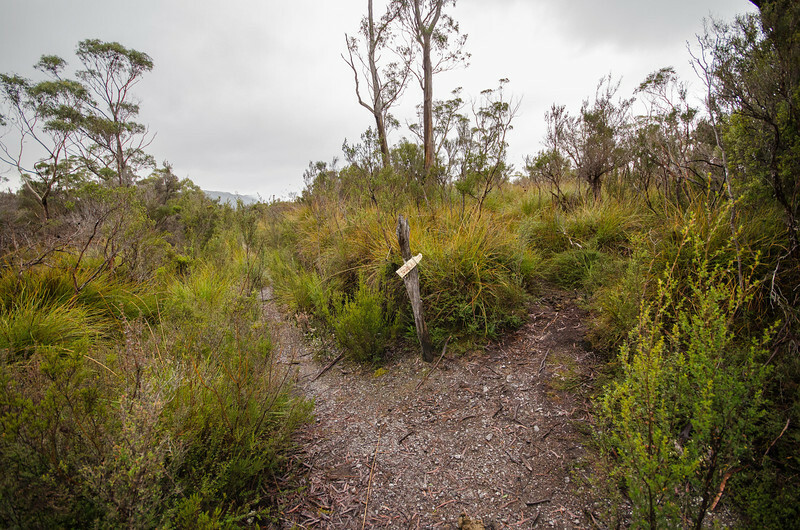 Volunteers concerned about logging in the Florentine have built a great little platform to get you up above the long grasses and scrub, providing fantastic 360 degree views of the surrounding ranges and valleys. To the north you can see the Florentine River cutting its way through the valley, to the north west you can see The Thumbs, to the north east is Mt Field West and to the east is The Needles. It was quite misty on the day we were there, so the best we could do was periodic glimpses of The Needles! Retracing our steps in the fading light (it’s amazing how dark it can get in the middle of a rainforest!) 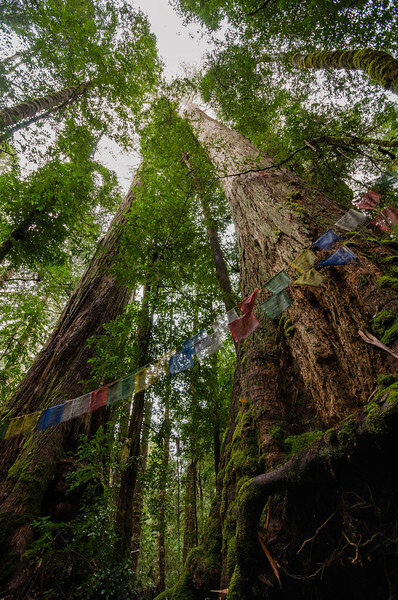 we re-emerged from the forest feeling very privileged for having walked amongst such an ancient eco-system. After stripping off the gaiters and doing a quick leech check, we were both surprised and stoked to find our legs unblemished! We got back to our room and found that the little buggers had gone down our legs into our socks instead of up towards our knees! A great short walk, taking only two and a half hours in total. The vegetation in the early sections of the hike, and the landscapes in the latter section, are unlike anything you’ll see anywhere else. Totally unique and a must for any Tasmanians keen on discovering more about their home state, particularly if you’re going to wade into the logging debate (which I’m not!). Considering how close this is to Hobart, you could easily drive up here in the morning, complete the walk (having lunch at the lookout), and then return to the car in plenty of time to be back in Hobart by dinner time. 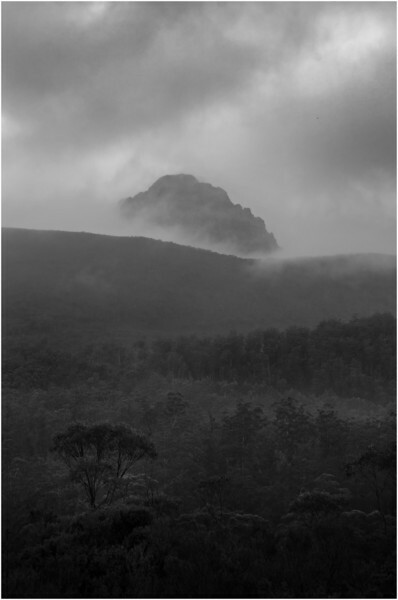 One thing to be aware of is the propensity for the Tasmanian weather to change at any time, extremely rapidly! While the first half of the walk out to the lookout is quite sheltered, the second half is a little exposed and can suffer the full brunt of the southerly weather systems that scour this part of the State. So make sure you check the weather forecast, take sufficient layers of warm clothing, and perhaps a snack or hot drink to keep the energy levels up! leeches…yikes! I remember being attacked by swarm of leeches in a forest in South India a few years ago. I am haunted to this day! BW shot is very cool and mystical..